Private practice as Consultant for Spinal Deformities in Children. 1962-1999 Orthopaedic Surgeon - Department orthopedic surgery, Kaiser Hospital and Permanente Medical Group Inc. Oakland, Ca. 1961-1962 Private Practice, Oakland, Ca. Web page: scoliosisrx.com A comprehensive discussion of scoliosis, non operative and operative treatment with papers presented. Comparison of supine and lateral methods of blind nailing of femurs. Blackman and Chapman, Journal of Bone & Joint Surgery 1982. Sub Laminar Wiring - a new technique in scoliosis surgery. Results in 35 patients: Presented for University of California Grand Rounds.October 1983. Comparison of Cobb and Ferguson measurements of a curve:Presented at Study Group for SSI; Scottish Rite Hospital,Dallas, TX. 1985. Hemiarthroplasty as a treatment for arthritis of the hip:Subject presented for University of California Grand Rounds April 1987. Pain Relief in Children using Intrathecal Morphine; Poster Exhibit at Annual Meeting, Scoliosis Research Society, Amsterdam October 1989. Program director and lecturer, 1st annual Lectureship on Spine Surgery, Kaiser Hospital, Oakland, Ca. January 1990. Intrathecal Morphine for Pain Relief in Children undergoing Spinal Surgery. Accepted for publication in Orthopedics 1991. Program director and Lecturer, 2nd annual Lectureship on Spine Surgery, Kaiser Hospital, Oakland, Ca. February 1991. Three Dimensional Correction of Adolescent Idiopathic Scoliosis using Cotrel-Dubousset Instrumentation.American Orthopedic Association: 1991 Residents' Conference. March 1991. Program director and lecturer, 3rd annual Lectureship on Spine Surgery, Kaiser Hospital, Oakland, Ca February 1992. Film: Scoliosis - An Adult Perspective, produced by Audio-Visual Dept, Kaiser Permanente,Oakland, Ca. February 1993. Lecturer Kaiser Grand Rounds, Oakland February 1993. Multiple Level Endoscopic Thoracic Discectomy; Exhibit at Scoliosis Research Society Annual Mtg, Dublin,Ireland Sept 1993. Film: Endoscopic Surgery of the spine 1994. Shown at Texas Back Institute,Dallas TX Feb/Apr 1994. Also shown Oakland Kaiser Spine Lecture Jan 1994. Program Director and Lecturer 5th Annual Lectureship on Spine Surgery. Kaiser Permanente , Oakland Ca. January 18th 1994. Endoscopic surgery of the Thoracic Spine. Poster Exhibit at American Academy of Orthopedic Surgeons annual meeting Feb 18-22,94; New Orleans, LA. Scoliosis - A Teenage Perspective , in production April 1994, Kaiser Permanente AudioVisual Dept. Diagnosis and Management of Scoliosis; Hospital Physician Volume 1 No 3, June 1994. Endoscopic Surgery of the Thoracic Spine; Video Film presentation at the Scoliosis Research Society, Portland,OR. September 1994. Chairman and Lecturer, Annual Lectureship on Spine Deformities, Kaiser Permanente Medical Center, Oakland, Ca; January 17, 1995. Endoscopic Spine Surgery, Chapter in Spine Care Publ Mosby & Co. 1995 pgs 1012-1015. Lecturer: Endoscopic Surgery of the Anterior Spine, a Three Day Course. First course on Endoscopic Spine in Europe. Sep 28-30 1995, Madrid, Spain. Lecturer: Two Day Course: Anterior Endoscopic Spine Surgery; University of California, San Francisco,CA. November 10-11,1995. Atlas of Endoscopic Spine Surgery; Quality Medical Publishing, Inc. 1995 pgs 225-232. Evolution of CD Horizon: Improvements in Methods and Instrumentation.(Course). May 11, 1996. Phoenix, AZ Lecturer, Spinal Deformity Conference, University of California Orthopedic Dept, San Francisco, CA; December 14, 1996. Visiting Surgeon, Shriners Hospital for Crippled Children, Mexico City, January 14,1997. Posterior Fusion in Idiopathic Scoliosis: Allograft vs Local Graft. Husain,Shively and Blackman June 1997. Presented at research Day,San Francisco Residency Program June 6th,`1997. Guest Lecturer, San Diego Spine Group, San Diego, CA Endoscopic Spine Surgery; June 18,1997. Poster exhibit, Scoliosis Research Society, St. Louis, MO. ; Correction and Fusion of Scoliosis Using an Endoscopic Approach. Sept 23-26, 1997. Paper Presentation; Correction, Instrumentation and Fusion of Idiopathic Scoliosis Using an Endoscopic Approach. Blackman, O'Neal, Picetti, Estep & Luque;Scoliosis Research Society Annual Meeting; St. Louis, MO. Sept 26,1997. Chairman and Lecturer, Course on Endoscopic Spine Surgery, Memphis, TN. November 14-15,1997. Video-Assisted Thoracoscopy (VATS) in the Treatment of Congenital Hemivertebra: G. Picetti, R. Blackman, K. O'Neal,; Journal of Bone and Joint Surgery(BR) 1997:79-B:Supp III.p 289; Orthopedic Proceedings: Abstracted from Spine Society of Australia. Preliminary Results of Endoscopic Procedures on the Anterior Thoracic Spine: G.Picetti, R.Blackman, K. O'Neal,; Journal of Bone and Joint Surgery(BR), 1997:79-B:Supp III.P 289,Orthopedic Proceedings: Abstracted from Spine Society of Australia. Faculty member, Total Spine:Advanced Concepts and Constructs. Spinal Science Advancement Foundation (SSAF). January 29-Feb 1,1998, Cancun, Mexico. Yaszemski,M.J., Blackman,R. Picetti,G., Luque,E. and Sanders,A.E. :Endoscopic Anterior Scoliosis Surgery and Instrumentation, Austria-Switzerland-Germany Exchange Fellowship Symposium [Yaszemski travelling fellow], 1998 Annual Meeting of Southern Germany Orthopedic Society, Baden-Baden, Germany April 30,1998. Paper presentation: Correction and Fusion of Thoracic Scoliosis using Endoscopic Technique; 5th International Meeting on Advanced Spine Techniques, Sorrento, Italy, May 1-3,1998. Poster Exhibit: Correction of Scoliosis using the Endoscopic Approach: Picetti,G. ; Blackman,R. : Estep M.; Eurospine 98 June 23-27,1998; Innsbruck, Austria. Poster Exhibit: Correction and Fusion of Thoracolumbar Scoliosis by Endoscopic and Assisted Endoscopic Exposures. Blackman, R.;Shively,J.;Estep,M. ; Annual Meeting Scoliosis Research Society, New York City, Sept 16-20,1998. Tutorial on Minimally Invasive Scoliosis Surgery; Childrens Hospital, Oakland, CA. July 19-21, 1999. Contributor to Textbook, "Thoracoscopic Spine Surgery". Published by Thieme. "Endoscopic Anterior Correction of Idiopathic Scoliosis" Chapter 16. May 1999. Video Presentation "Minimally Invasive Scoliosis Surgery"; Scoliosis Research Society. Sept 23-25,1999, San Diego, CA. Poster Exhibit: "Mid term results of Correction of Scoliosis Using Minimally Invasive Technique" Blue Ribbon Award! North American Spine Society, Chicago, IL October 20-23, 1999. Visiting Professor, Morristown General Hospital, Morristown, New Jersey,December 6-8,1999. 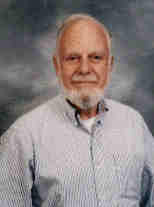 Visiting Professor, Crisus Santa Rosa Hospital, San Antonio TX November 29,1999 and January 24-25,2000. Faculty Member, Northern California Chapter Western Orthopedic Association Annual Meeting, January 28-30,2000 , Yosemite Valley, CA. Director and faculty member, Study Group for Minimally Invasive Scoliosis Surgery; Texas Scottish Rite Hospital, Dallas, TX. September 9,2000. Poster presentation: Two year results of correction and fusion of thoracic scoliosis using a minimally invasive approach. Blackman R.; Policy,J. ; Shively, J.; Booth K.; Scoliosis Research Society Annual Meeting, October 17-22,2000, Cairns, Australia. Poster presentation: Letters from the web: Blackman R.; Policy J.; Scoliosis Research Society Annual Meeting, Oct. 17-22,2000, Cairns , Australia.